The club picnic will be Saturday, August 22 at Willow Creek Park, 1800 Guns Street in Bellevue. Shelter, electricity, bathrooms and playground equipment will be available. Please bring a dish to pass. More information on times and food will be available soon. The picnic location has changed. The village called and has a big sports event going on that they didn't know about. They offered Josten South, off of Daly Dr. The easiest way to get here is taking Landmark Blvd by Costco as Lime Kiln is closed near Monroe. Then take Lime Kiln to Daly, take Daly all the way to the end and turn left. Drive a block and you should see it. 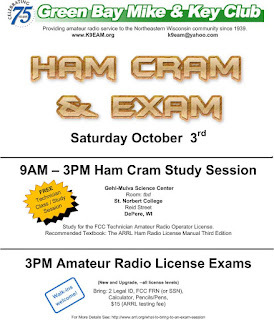 There will be a HamCram and VE test session October 3rd. 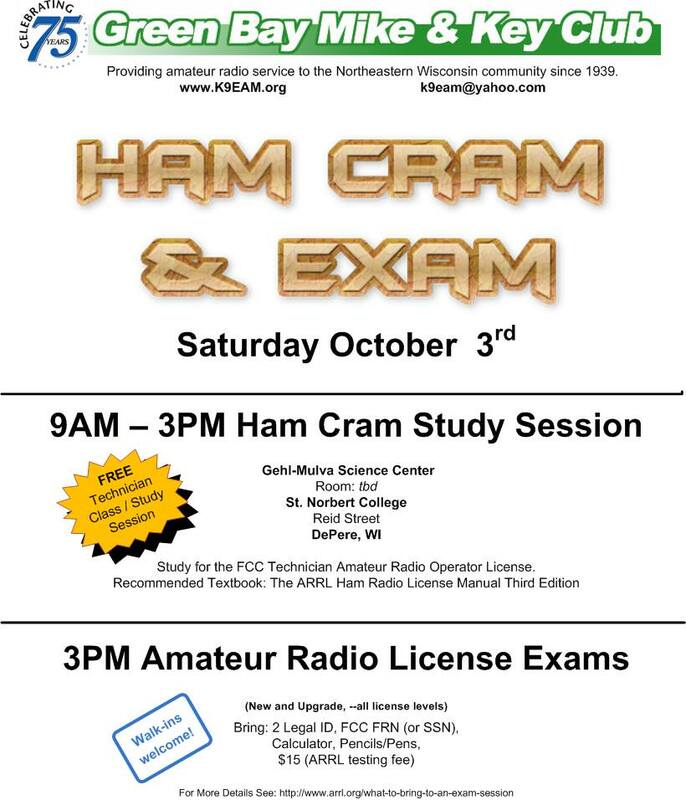 It runs 9am-3pm and will be held in the Gehl-Mulva Science Center. August 8th the club will be operating a special event lighthouse station from 9am-1pm.